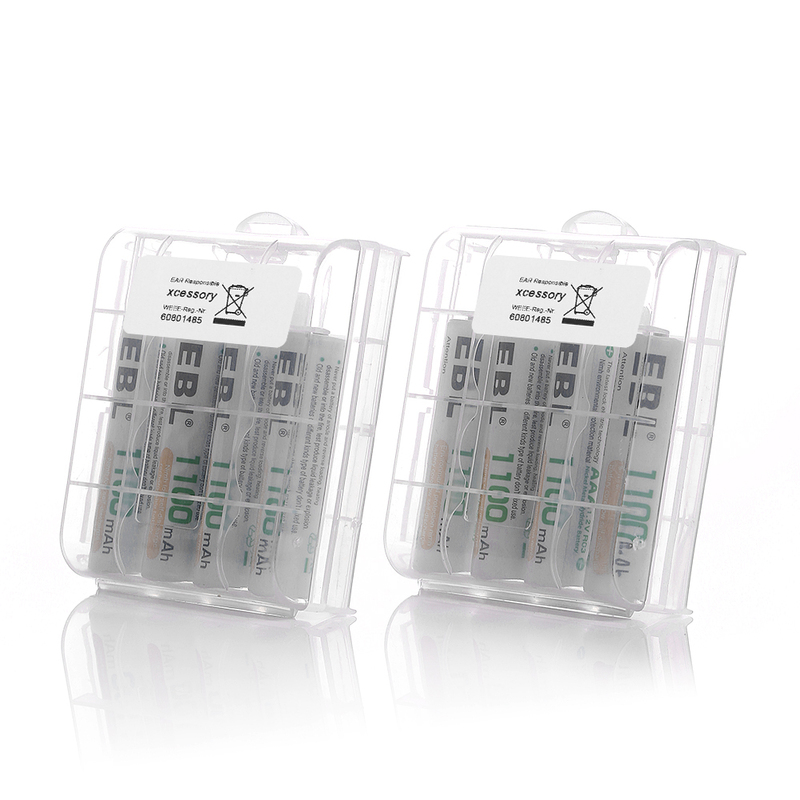 Safe Rechargeable AAA Batteries with Low Self-Discharge for Your Household. 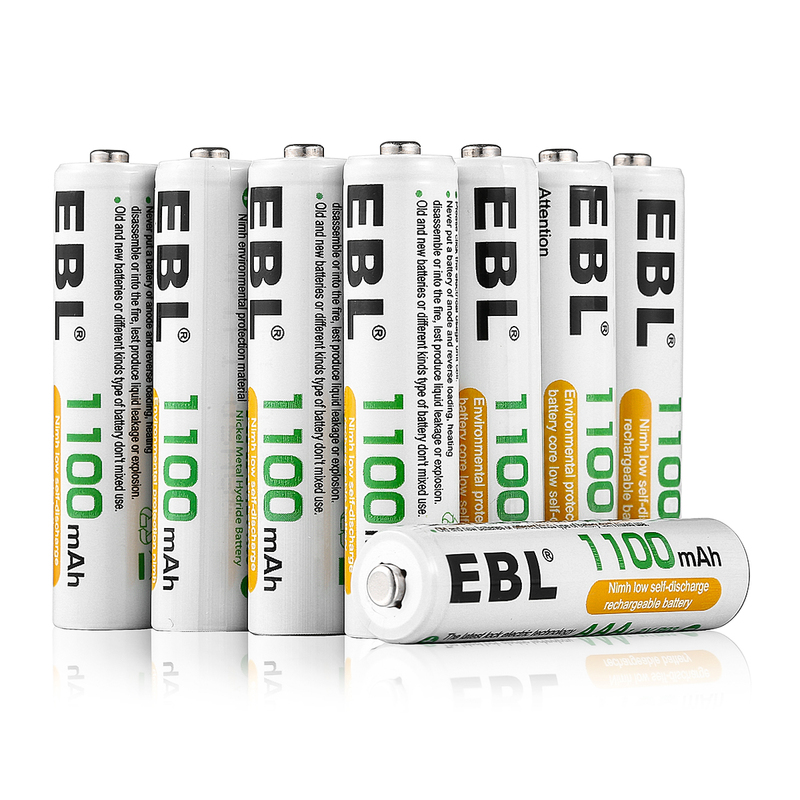 The NiMH AAA batteries have high capacity 1100mAh that will keep your devices working with powerful performance. 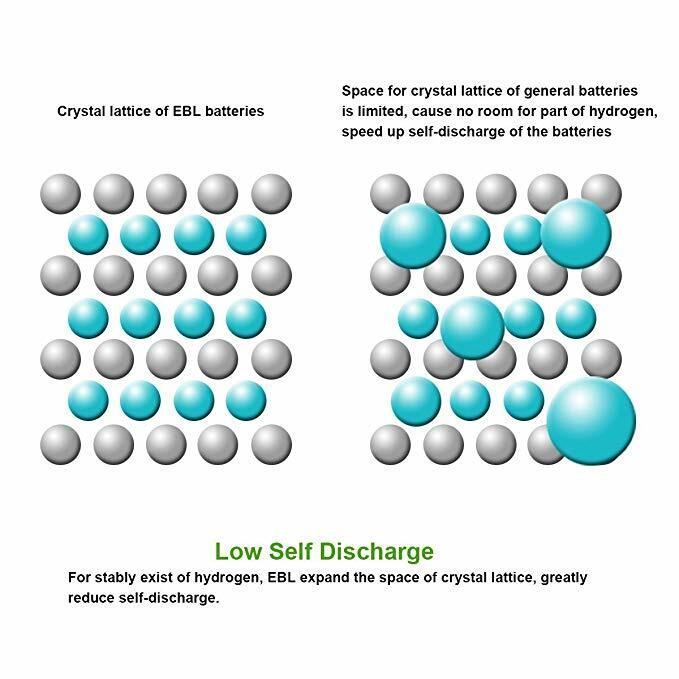 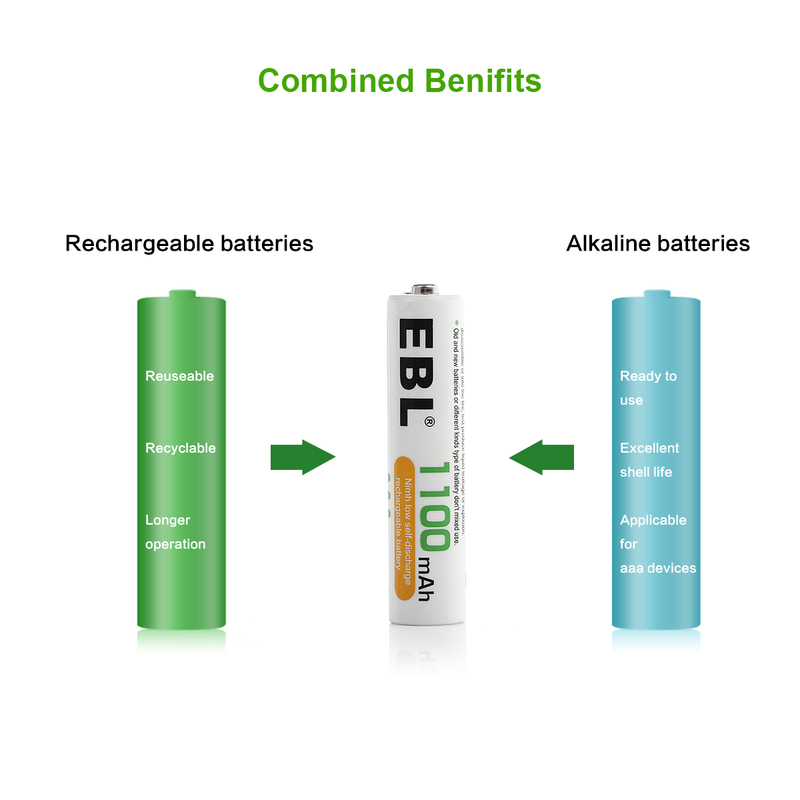 EBl uses first-rate Ni-MH cells that has great efficiency in recharging and features battery energy stability. 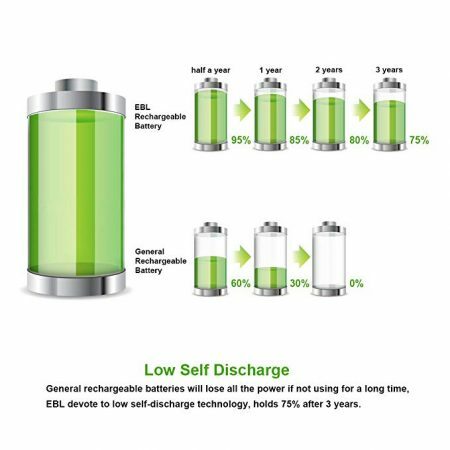 The high capacity rechargeable AAA batteries can keep about 80% battery energy for 2 years’ storage due to the super low self discharge. 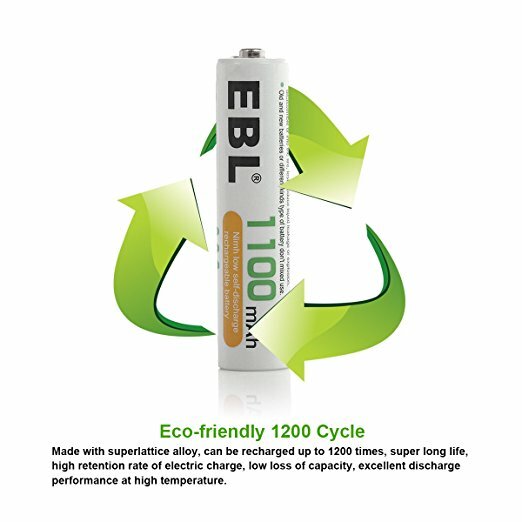 The durable AAA batteries let you enjoy up to 1200 recharge cycles thanks to the long battery life. 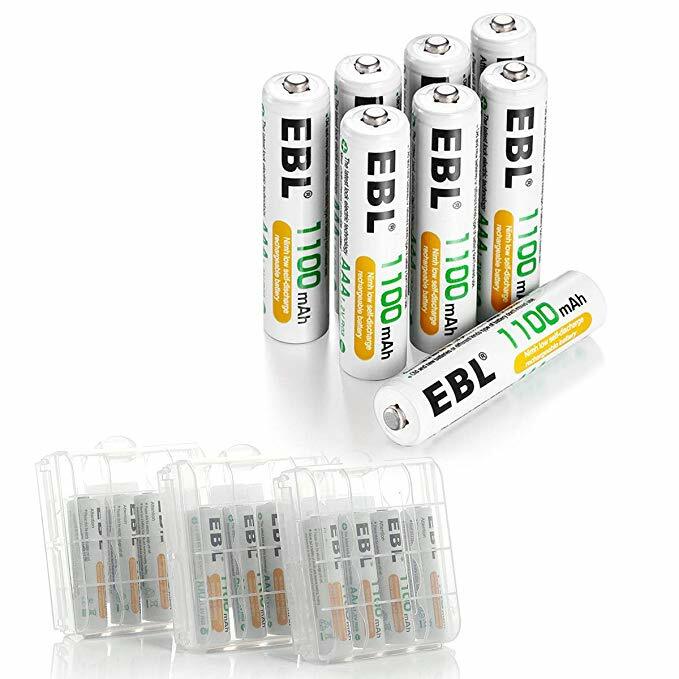 These are highly efficient and safe AAA batteries with most protective and durable DBCK steel battery shells and nickel plating process for the battery heat treatment. 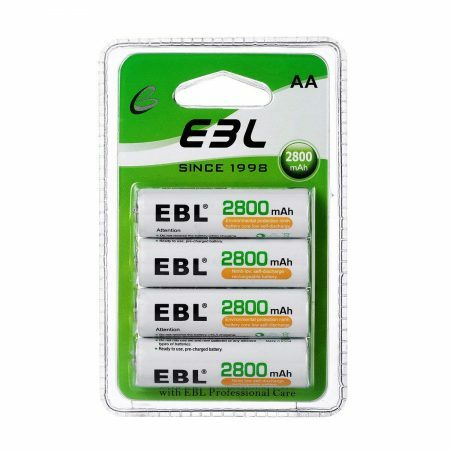 These EBL 20-count high capacity 1100mAh NiMH rechargeable AAA batteries can be widely used for a myriad of devices in your household. 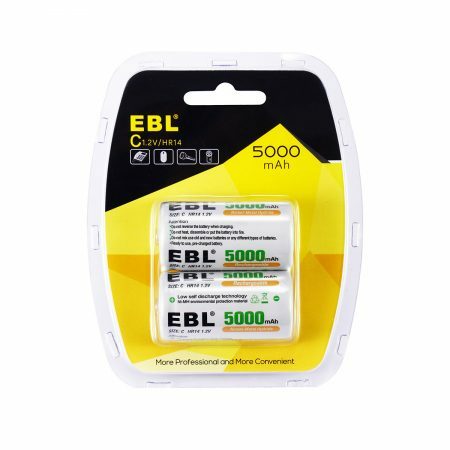 You can use them for your handheld game player, radio, music player, PDAs, flashlights, alarm clocks, toothbrushes, electric shavers, remote controllers for RC toys, TV set and air-conditioner, etc. Do not put these batteries near heat or fire. 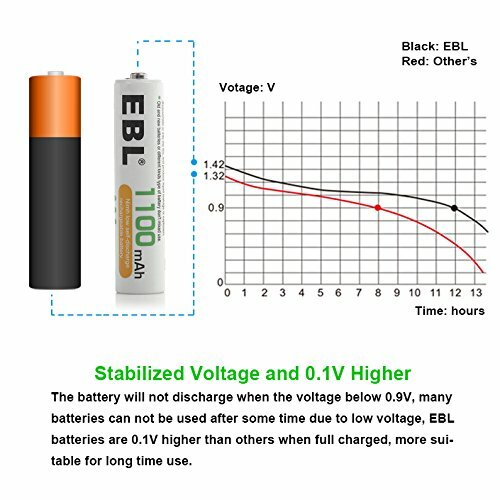 Do not charge or discharge the batteries under incompatible current rating. 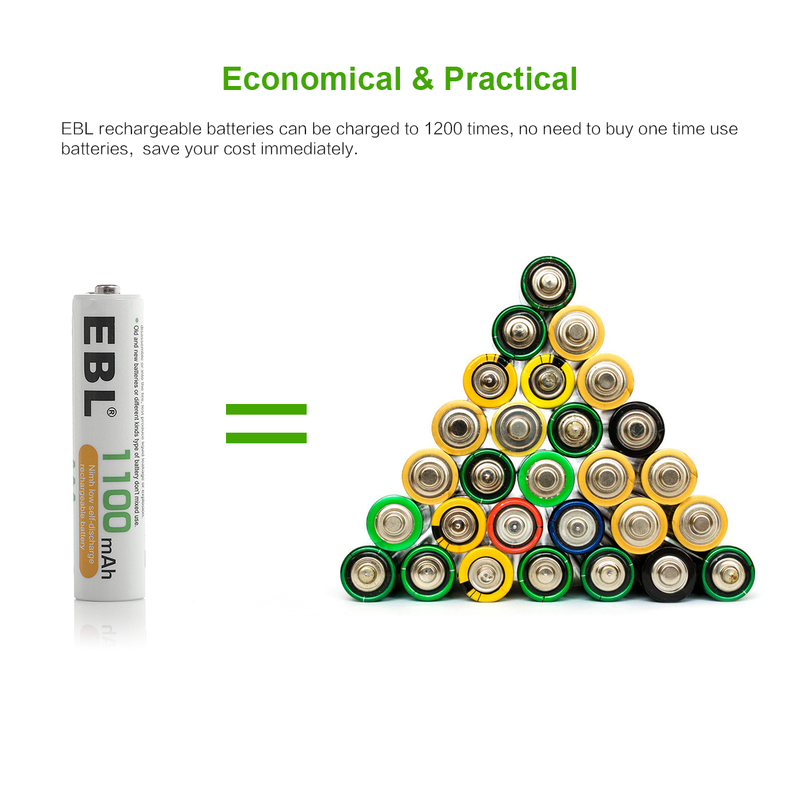 Do not disassemble and assemble the batteries. 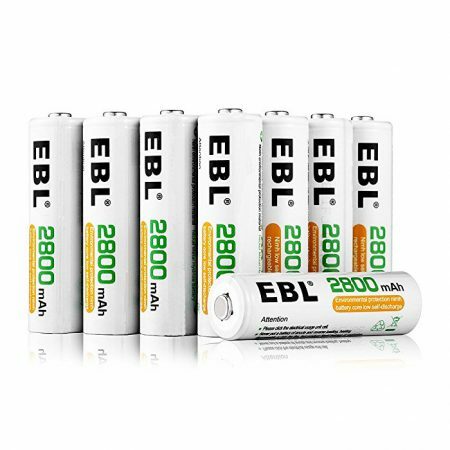 Keep these batteries away from water or damp. 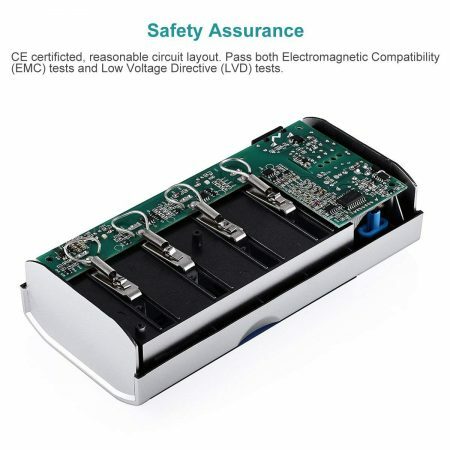 Do not use unprotected board and wires which might cause battery short-circuit. 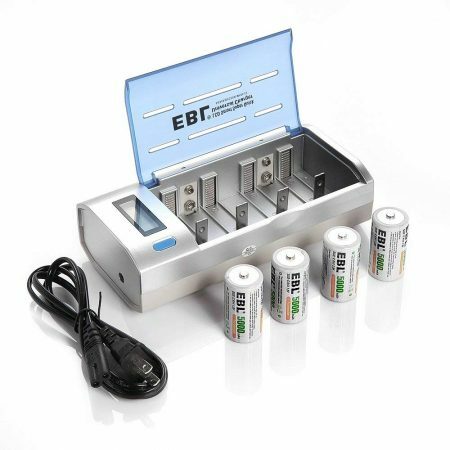 Do not reverse the positive and negative terminals. 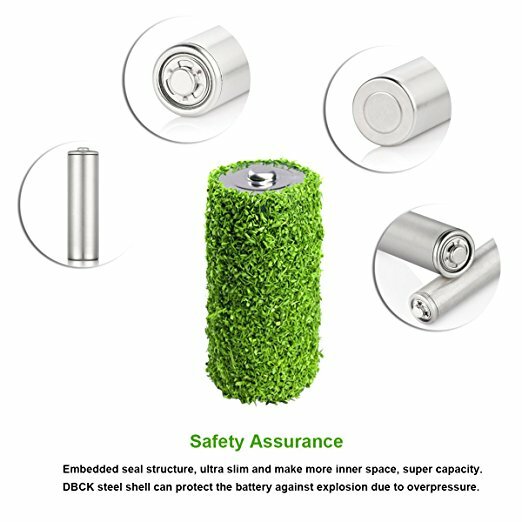 Do not use the battery in a location with strong static electricity or magnetic field, otherwise, batteries and your devices could be damaged.